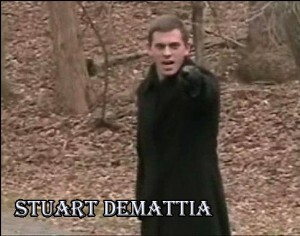 Stuart “Stu” DeMattia has been back stage since 2001 and has been acting on the stage since 2004. Since then, he has been in 8 musicals and 2 plays ranging from a small parts to a key supporting role. When acting in front of the camera, Stuart has starred in 3 independent films including 1 feature length film. In addition to acting, Stu also does War Reenacting, mostly recreating Vietnam but also performing replications of the modern era. Stuart has worked with Dylan since 2006, starring as the villain in his first STRIKE A POSE!!! Film, The Third Path. Stu plans on becoming a “L.E.O.” (proper term for a Cop Law Enforcement Officer) but in his spare time will continue to do plays/musicals and if possible- film.